PHOTO COURTESY SONY PICTURES CLASSICS Steve Coogan and John C. Reilly as classic comedy duo Laurel and Hardy in "Stan & Ollie." Director Jon S. Baird's charmingly nostalgic comedy "Stan & Ollie" shines a spotlight on the lesser-known final act in the careers of legendary comedy duo Stan Laurel and Oliver Hardy, played exceptionally by Steve Coogan and John C. Reilly. Occasionally by-the-numbers as a biopic, the films works significantly better as both an affectionate look back at a classic film era, and an honest look at the highs and the lows of a lasting creative alliance. During the prime of their careers in the 1930s, Laurel and Hardy were Hollywood royalty, but with their film offers ebbing far more often than flowing, in 1953 they agree to embark on an overseas tour through the music halls of the UK. Laurel has planned the tour to drum up enough publicity to pull together a film deal for a comedy inspired by the legend of Robin Hood, which he hopes will be their big comeback. The pair are a bit dispirited to find themselves performing in half-full, second-rate theaters. But -- being consummate professionals -- they keep doing what they do best, confident that the crowds will eventually find them again. And they're right, even if they occasionally have to stoop to cheesy publicity stunts to earn the attention. The screenplay by Jeff Pope ("Philomena") foregrounds the close relationship between the two men -- capturing the genuine friendship and affection, as well as the age-old resentments that any people with so much shared history can accumulate over the years. We learn that the largest rift between the two came about after a period when Laurel's contract was up and he decided to take meetings with other studios, expecting and hoping Hardy would come along. Instead, Hardy made the decision to briefly take on a new partner, and the tension that developed as a result of that decision has never truly gone away. The two men are eventually joined on the tour by their wives, Lucille and Ida (Shirley Henderson and Nina Arianda). Upon the women's arrival, Laurel and Hardy's manager remarks that it's like he's gotten two acts for the price of one, and he's entirely correct. The chemistry between Henderson and Arianda more than matches that of their counterparts. Arianda, who was so memorably scene-stealing as a boozy socialite in "Florence Foster Jenkins," continues to demonstrate a knack for taking characters that might seem like punchlines on the page and investing them with a real humanity. Her expert comedic timing provides some of the most pure-hearted laughs within the largely melancholic context of the film. The actress could have played Ida's thick Russian accent and cut-to-the-chase manner strictly for laughs, but she never loses sight of Ida's genuine love and respect for her husband and his career. It's a marvelous performance. Coogan's Laurel, meanwhile, thrives when deep into the creative process, living for the moments when the pair are workshopping ideas for a new gag. The two men may have their issues with one another, but all the bruised egos and wounded pride melt away when they're in front an audience, and it's understandable why neither would be in a hurry to let that go. 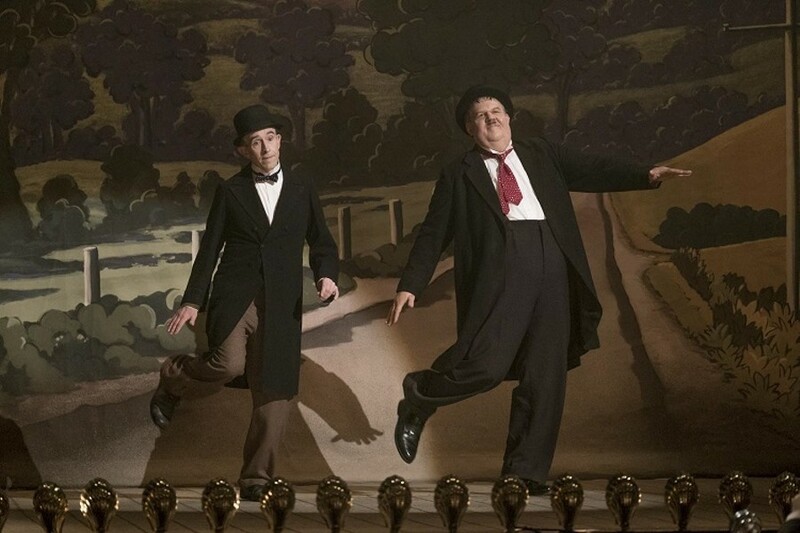 A gentle comedy offering a bittersweet portrait of the kind of long term creative partnerships that become their own kind of marriage, "Stan & Ollie" is an understated and affecting portrayal of friendship, loyalty, and the fickle nature of fame. Movie Previews Film Film preview "Stan & Ollie"